Known as the Pearl of the Indian Ocean,Sri Lanka is a vibrant country. It enjoys wonderful weather around the year because its close to the equator. Sri Lanka Holidays has everything you could desire for a perfect family holiday. These include the pristine beaches for children and adults alike, wonderful wildlife where you’ll see dozens of elephants. Then there are the verdant green tea estates to experience the whole tea life cycle, ancient forts and monuments for those who want to indulge in a bit of history, colourful cities and of course experience the culture of Sri Lanka by experiencing their cuisine and visiting some of the iconic temples and shrines. To give you ideas and some inspiration for a family holiday to Sri Lanka, we showcase some of what you could experience. Colombo is probably the place you will fly into. Take a city tour and soak in the sights and sounds of this charming city. Sri Lanka was ruled by the Portuguese, the Dutch and finally the British. You see the colonial influences in the architecture blending in with their own native traditions. There are several beautiful spots to visit in the city. This includes the Gangaramaya Temple, the Seema Malak Temple, the Viharamahadevi Park, Independence Square and more. If you love spice, then you are in the right place because Sri Lanka grows many of the fragrant spices. Being an island, seafood is an integral part of their diet as is rice and curry. They love their meats and vegetables using greens most tourists aren’t familiar with. Sri Lankan cuisine also incorporates local fruit like jack fruit, wood apple, coconuts as well as tamarind to give curries a tang. Try some Kotthu Rotti with your preferred curry. Other interesting dishes to try out are string hoppers, Sambol, Lamprais and Fish Thiyal. Sri Lanka is known for its sapphire blue beaches and clean golden sand. Since the country is close to the equator, there is bright sun shine and balmy weather all year through. 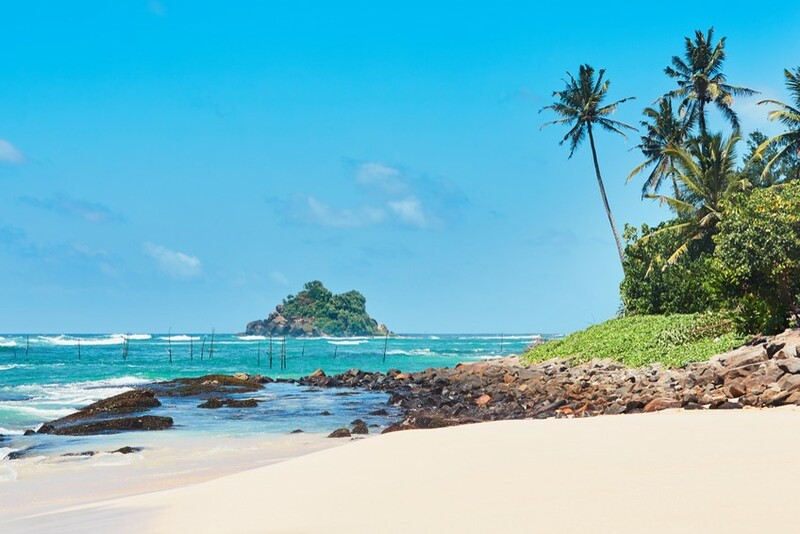 Some of the famous beaches include Unawatuna, Bentota and Hikkaduwa all located in the Galle district in the south-western tip of the Island. At the Hikkaduwa Coral Sanctuary other than seeing the coral reefs, you’ll find you can indulge in a unique experience – swimming with turtles! There are opportunities for surfing here as well. 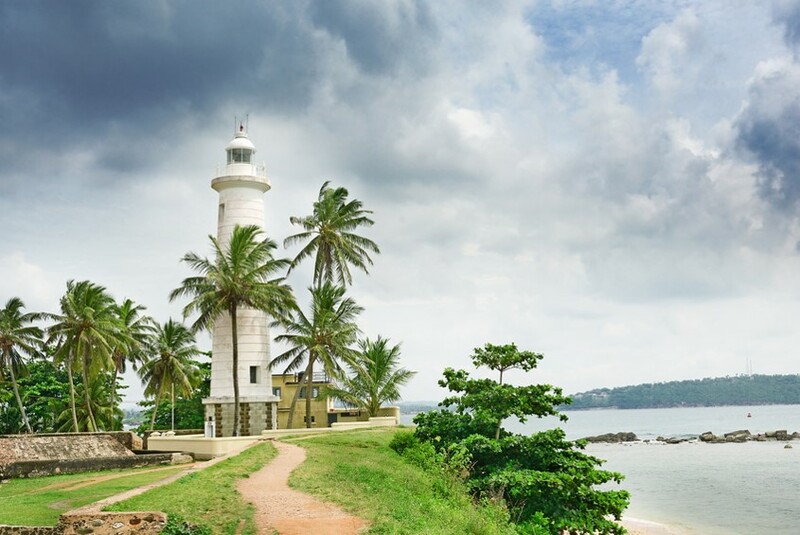 A holiday to Sri Lanka should include a trip to the Galle Lighthouse which is an iconic tourist destination. The Dutch built Galle Fort is a place to explore and the Galle harbour has several ship wreck sites for those who are interested in diving. 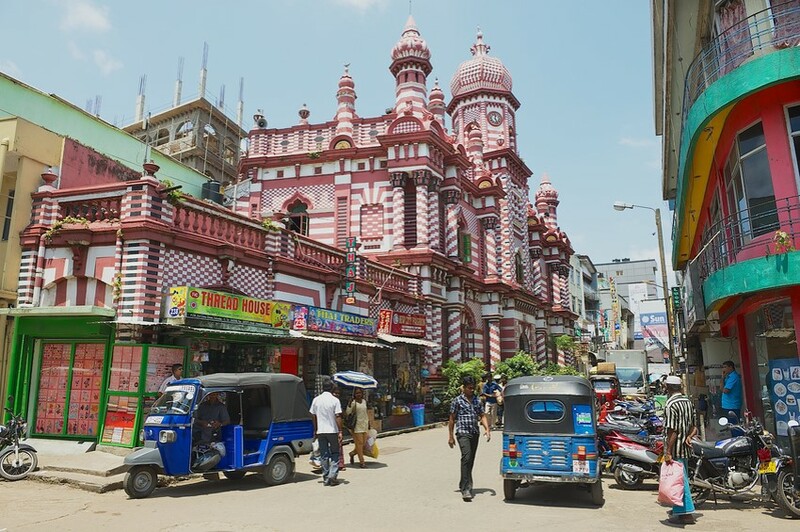 Galle Fort is a multi-cultural destination where the inhabitants trace their history to Portuguese, Dutch, Sinhalese, English, German and Arabic settlers. Kandy is known as the capital of Ceylon Tea. 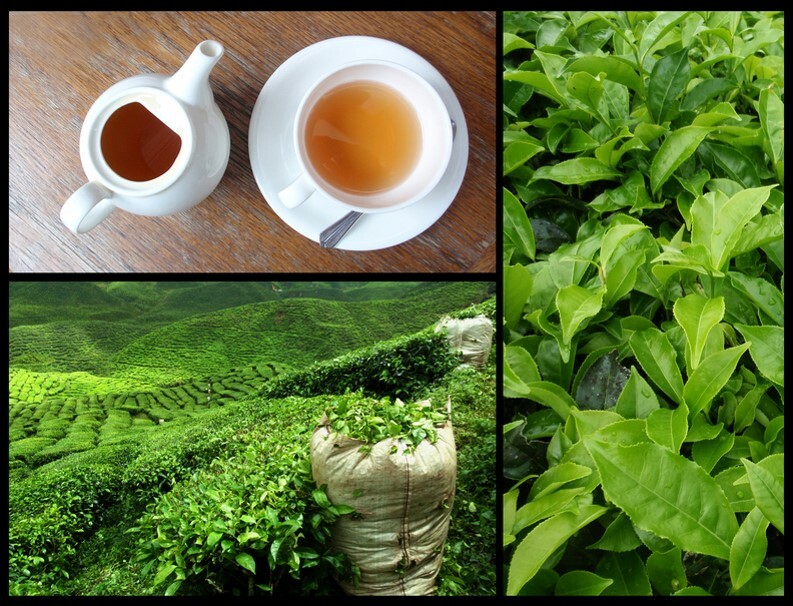 There are many tea estates to visit in Kandy where you can get to see how leaves are picked off a tea shrub and it converts to the delicate fragrance of tea that Sri Lanka is famous for. Kandy also has the Temple of the Tooth shrine. A tooth of Buddha is carefully safe guarded here. Sri Lanka has several National Parks where wild life is protected. There are safaris you can take to see the elephants, leopards and other exotic animals. The Wilapattu National Park is in the North West, Pigeon Island National Park in the North East and Yala National Park in the South East. 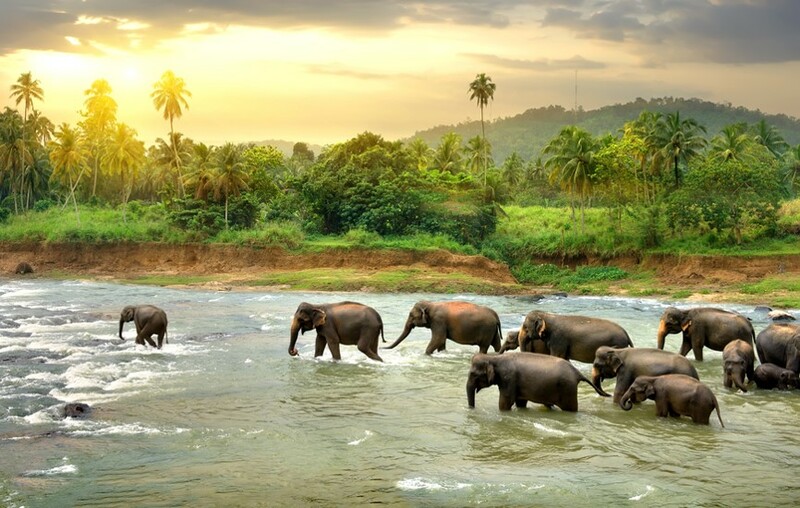 Maduru Oya National Park in the Eastern part of Central Sri Lanka is a place to see Elephants frolicking in the water or crossing in groups, a magical site that will stay with you. We hope this inspires you to plan a Sri Lanka family holiday soon! Interested in more tropical family holiday destinations? Sri Lanka has many things in common with the Kerala on the South West coast of India. And of course, there is Singapore.